Convenient and Organized - The Artifex Design stand holds your Samsung watch and Most sized Smartphones, even with a case! 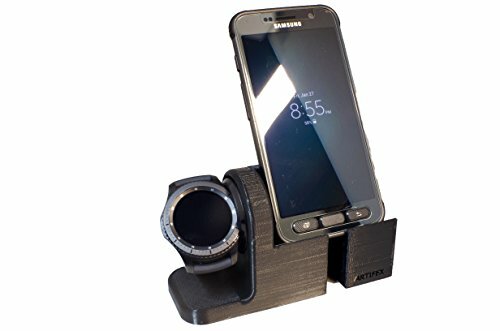 Black in color - Gear S3 3D Printed Watch / Phone Charging Stand, Designed and made in the USA! If you have any questions about this product by Artifex Design, contact us by completing and submitting the form below. If you are looking for a specif part number, please include it with your message.